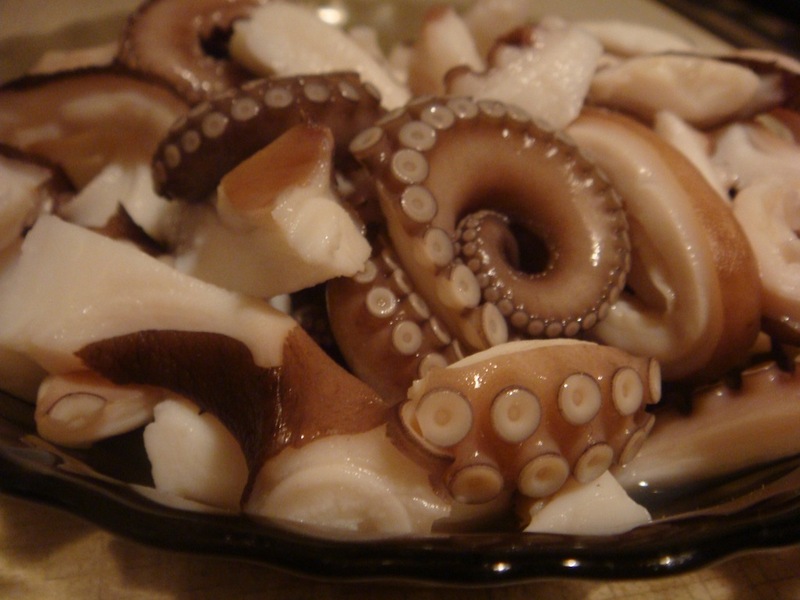 Among seafood, octopus is one of the best for your stamina. It contains the highest concentration of taurine (34%), which helps calcium decomposition and absorption. 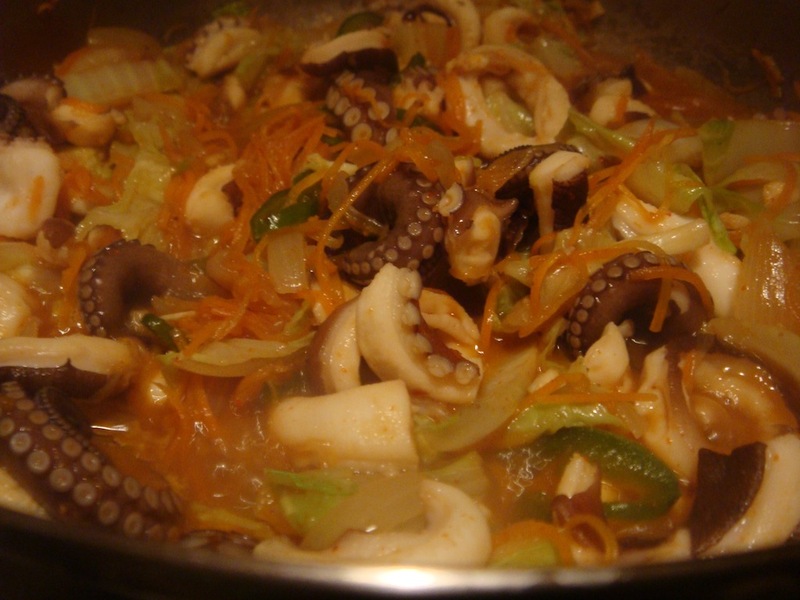 Nakji Bokeum 낙지 붂음 is a stir-fried octopus with vegetables, covered in a spicy sauce. Clean the octopus under running water. Cut the legs and head into bite-sized pieces. 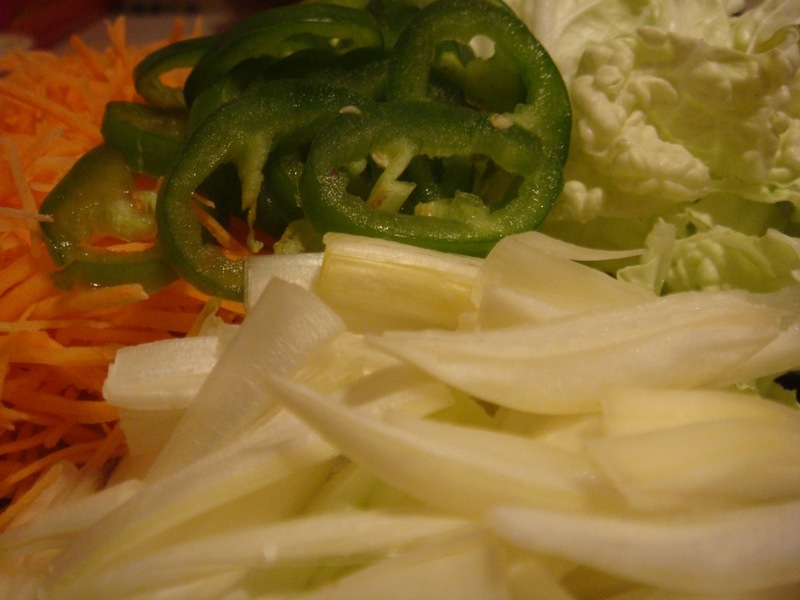 Cut cabbage, onions and carrot into strips. Now prepare the sauce. 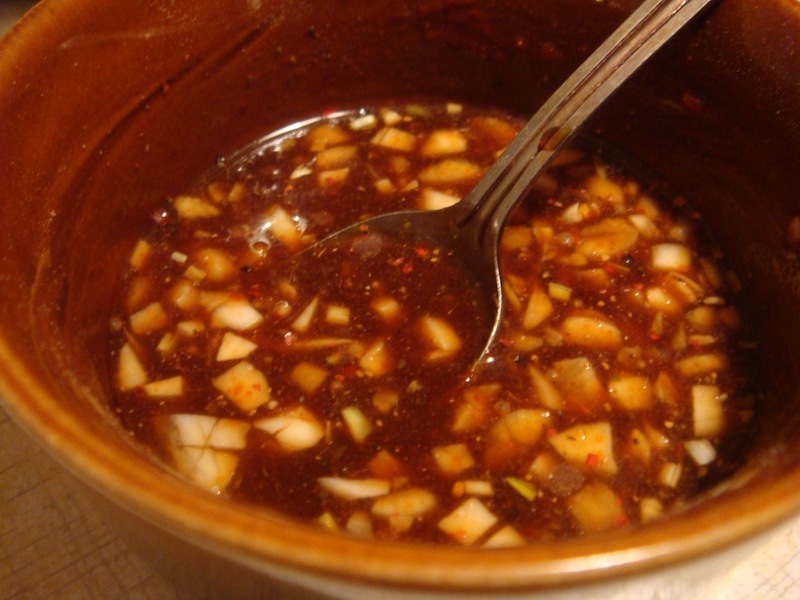 Mix soy sauce, chili paste, black pepper, salt, garlic, ginger powder and sugar. In a heated pan, stir fry the vegetables. 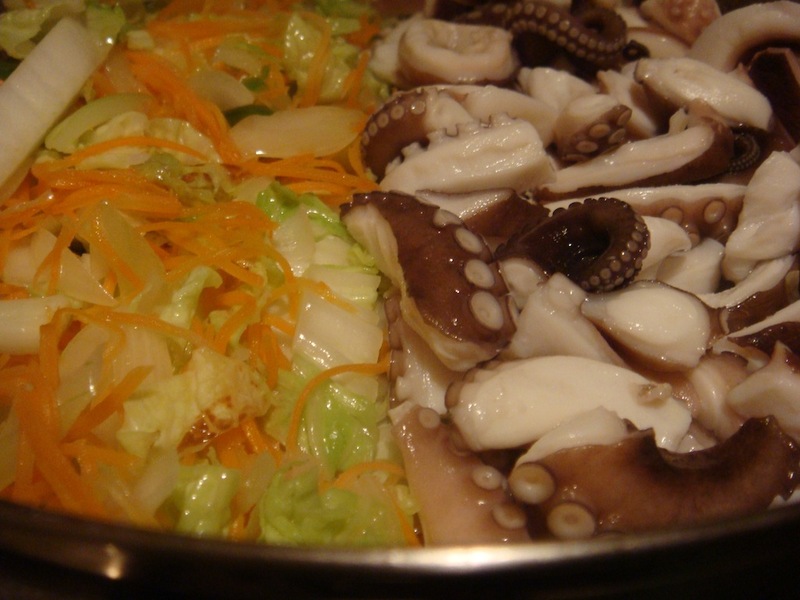 When they’re soft, add octopus and sauce and cook for about 4 minutes. 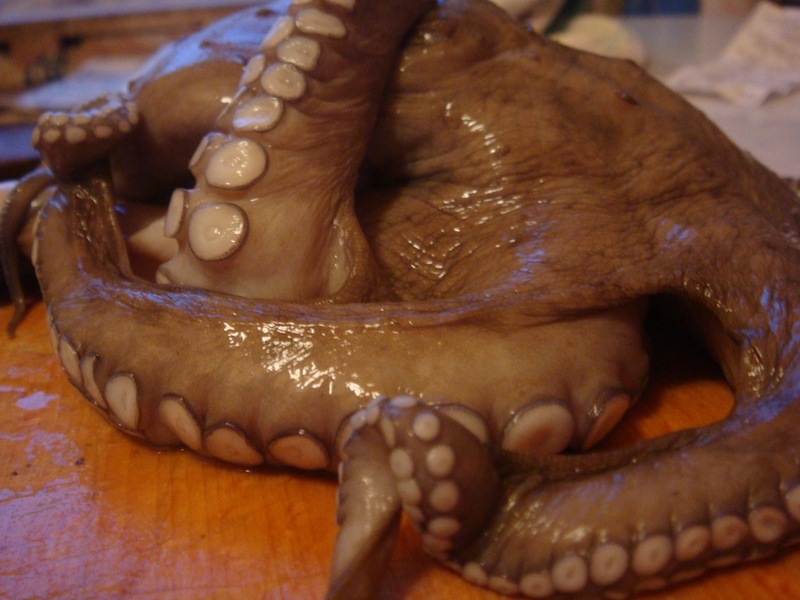 Be careful while cooking the octopus. If the heat is too high it will burn, if too low it will get soggy. Sprinkle some sesame seeds. 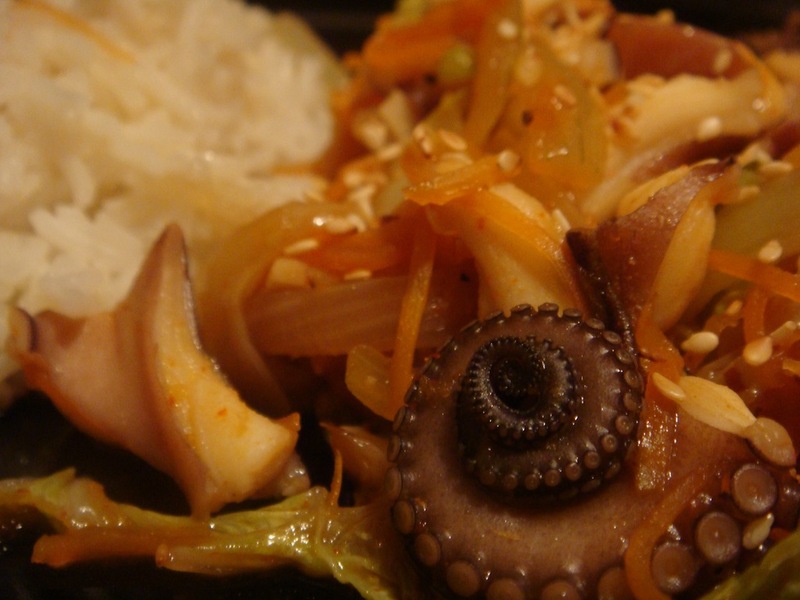 It’s a very spicy dish, so if you’re not used to spiciness, serve it with a bowl of rice.